Call us at (314) 241-4232 to make an appointment. 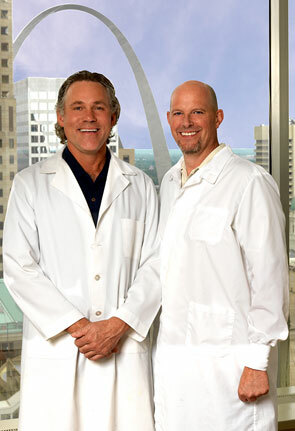 Downtown Dental Associates has served the dental population of downtown St. Louis and the greater St. Louis metro area for over forty years. Our goal is to build a lifelong relationship with each patient in our practice. We want to get to know you personally, understand your dental needs and concerns, and develop a dental care program that meets your individual goals. Most importantly, we are committed to giving you healthy teeth and a bright smile for the rest of your life. Dr. Luedeke or Dr. Ballard personally conducts your exam, studies your x-rays, and provides your treatment. We will carefully explain all your options, and take the time to answer your questions prior to starting your dental care. We are dedicated to providing the highest level of dental care available with state-of-the-art technology, high quality craftsmanship and materials, and a friendly and caring staff.